Posted on April 4, 2016 by David Tate, Esq. In Ammerman v. Callender (March 24, 2016, Case No. G049880) the California Court of Appeal for the Fourth Appellate District was called upon to determine the extent to which the lower trial court could interpret the intent of the trustor and to change the terms of the trust to be in accord with the intent that the trial court determined. Below I have pasted relevant wording from the Appellate Court discussing the principles of the court’s ability to interpret the trust. 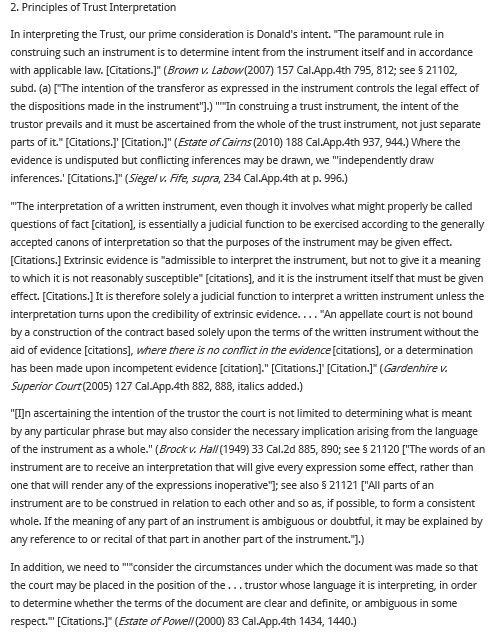 You should note that this is an appellate level court decision, other California appellate courts have issued decisions that are not necessarily entirely in accord, California Supreme Court decisions may differ and overrule this decision, and in significant regard, even when reading the below posted language, how far to interpret the trustor’s intent and the extent to which the introduction of extrinsic evidence will be allowed to express the trustor’s intent remain at the discretion of the trial judge. Two principles do appear certain, (1) it is the intent of the trustor that should prevail, and (2) the court cannot rewrite the terms of the trust unless there is sufficient evidence, based on the wording of the trust or based on extrinsic evidence, or based on both, that the wording of the language in the trust is in conflict, or is ambiguous, or fails to address the present situation, or in some manner fails to express the trustor’s intent, and even in those circumstances the court cannot simply go ahead and rewrite the terms unless the evidence taken as a whole indicates that the trustor so intended the new terms. It would logically also seem that the more radical the new or different terms are from the current terms of the trust, the greater the evidence would need to be that the trustor really, truly did intend the application of the new or different terms. Further, I continue to disagree with these being judge-determined cases – a jury trial should be available for the interpretation of intent and extrinsic evidence. Below, at the bottom of this blog post, I have pasted relevant wording from the decision discussing principles of trust interpretation. 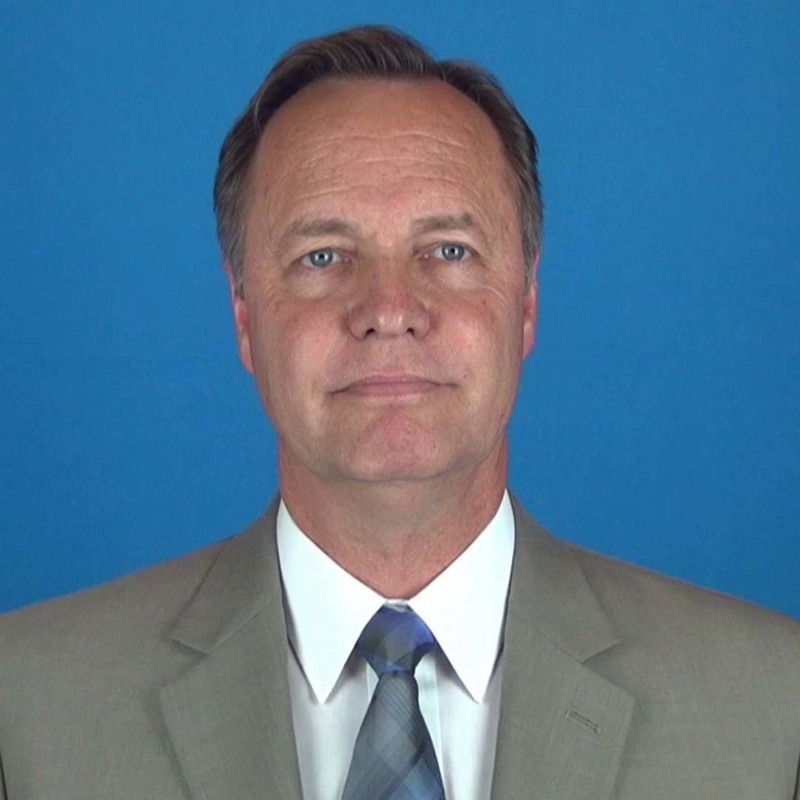 Dave Tate, Esq., San Francisco and California, tel. : (415) 917-4030, http://tateattorney.com, http://californiaestatetrust.com, http://auditcommitteeupdate.com, trust, estate, probate, real estate, conservatorship, power of attorney, elder and dependent adult, and business litigation; administrations guiding fiduciaries and beneficiaries; audit committees and D&O. The following is relevant wording from the decision in Ammerman v. Callender. This entry was posted in will, estate, trust, elder, contest, fiduciary, decedent, intent, disability, conservatorship, elder abuse, elder protection, trustee, beneficiary, executor and tagged executor, fiduciary, probate, probate litigation, trust litigation, trustee. Bookmark the permalink.